In today’s world, insuring your belongings and life is essential to staying one step ahead of the never-ending surprises. Whether it be natural disasters, theft, accidents or even death, insurance is vital to making sure you and your family are prepared for whatever happens. As most people know, insuring your home, car and life can cost a pretty penny. 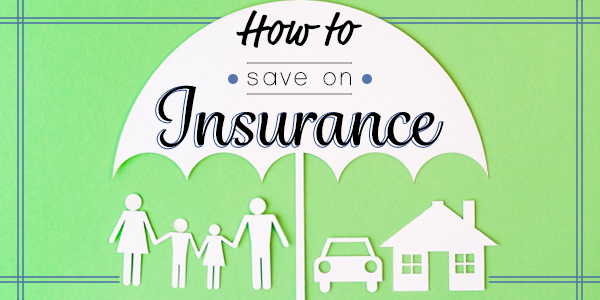 Follow these tips on how to save money on insurance without jeopardizing your coverage! As with any other purchase, research must be done to know what you’re buying and if it’s at a fair price. Insurance companies let you get free quotes online in just a few minutes so you can compare rates and find the best policies for you. Get a few quotes and analyze which would work best for you and what you’re insuring. BillCutterz has teamed up with a well established and inexpensive insurance provider to get you the best possible rates on insurance. They have helped thousands of people lower their insurance rates and get improved coverage. Get a free, no obligation quote in just a few minutes and find out how much you could save on auto insurance, homeowners insurance, renters insurance, health insurance, life insurance, business insurance and annuity insurance. To get maximum savings, insure your home, car and life and other policies with the same insurance company. You can get a great discount if you buy two or more insurance policies from the same company. Buying anything from large companies can be annoying if their customer service is lacking. As you shop around for rates, pay attention to each company’s customer service. When you call or visit with a representative, make notes of the ease of service, organization, and the experience and knowledge of the representative who assists you. To go even further, you can contact your state insurance department to see if they provide consumer complaint ratios of different companies. You can also search for reviews online to see how many people are happy with their insurance company. It’s also important to insure with a “healthy” company. Before you choose an insurer, check the financial health of the company to make sure they are financially sound. This may not sound appealing, but a higher deductible usually means a lower premium. For home insurance, consider a deductible of at least $500. If you can bump it up to $1,000, you could possibly save as much as 25%. For auto insurance, raising your deductible from $250 to $500 could reduce your collision and comprehensive coverage cost by 15-30%. Before raising your deductible, make certain you have the money set aside in case you need to pay it. Various insurers offer lower rates through a group plan from employers and other associations. Ask your employer and associations you’re involved with to see if this is a viable option. Insurance companies always provide discounts to certain niches, so seek them out. For auto insurance there are tons of discounts: good driver discount, low annual mileage, long-time customer, no accidents in 3 years, student drivers with good grades, etc. For homeowners insurance, it’s possible to get discounts if you have a security system or if you have recently modernized your electrical or plumbing system. Make sure to ask your agent about potential discounts that you may be eligible for. Insuring your belongings and life is essential to saving money in the long run when trouble strikes. Finding the right policy may seem like a daunting task, but if you follow these tips on how to save money on insurance, it won’t be as hard as it seems. My dad always told me, “Insurance is only important when you need it!” I’ve been down this road and unfortunately, sooner or later, you’ll be glad you had the policy that fits your lifestyle and budget. Have any other tips to save money on insurance? We’d love to hear them!